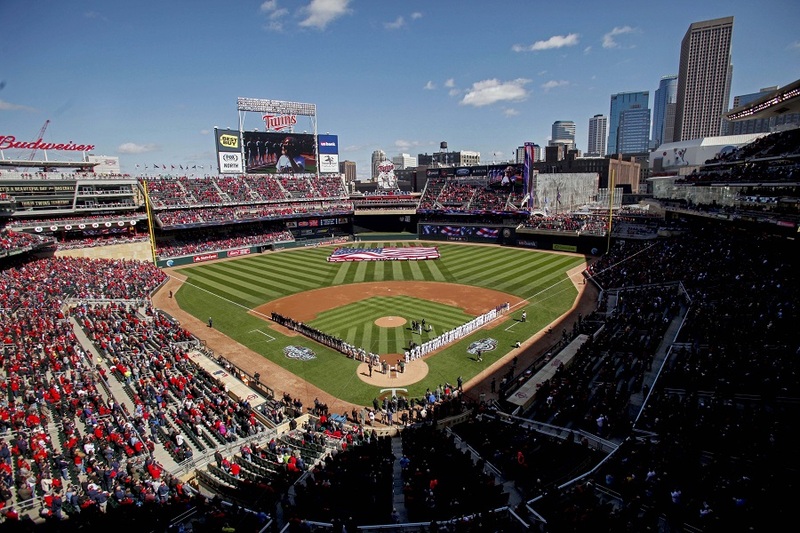 If you enjoy the community of Twins fans that gather daily at Twins Daily, you might want to check out another community that gathers around the Twins – literally. This week, Delaware North, who provides concession, retail and other services at Twins games, will be having two job fairs at Target Field. If you’re interested in being inside the gameday experience – and getting paid, including a $200 sign-on bonus – you might want to check them out. The events are Tuesday April 17th and Thursday April 19th from 4:00 – 7:00, with doors opening at 3:30. You can enter the ballpark at the street level entrance on the south side of building where 7th St intersects with Twins Way. (Here is the Google Map view of the door to use.) They’re hiring a number of positions, and you can find the whole list right here. There are all kinds of perks, including free meals, paid training, a rewards and recognition program, and team retail store discounts. Plus, for a limited time, there is a $200 sign-on bonus valid for new hires until 4/30, that you can learn more about at this link. You also get to be part of the behind-the-scenes group that is responsible for the Twins game day experience. Learn about the job fair here. By the way, make sure to bring a shovel. They will call it a team building exercise. Then they will ask you to come back at a later date. Rinse, Repeat. I had applied to an IT position at Delaware North a few months back, and I recently heard I didn't get the job. I'm a bit bummed I won't get to work at Target Field. Maybe we can get some other Twins Daily folks working there, though. That is quite the hard sell. Was this a paid advertisement? Yep. It says sponsored content both on the front page and at the top. We agreed to it because we thought it might be of interest to a fair number of member in our community.